Give away jelly bean treats with the Jelly Beans Small Bucket. Give away a custom Jelly Beans Small Bucket to your clients and guests during meetings or conferences to make your brand unforgettable. These oh-so-charming buckets of delectable branded jelly beans is a novel way to promote your company. Don’t let the word “small” deter you. The bucket, made out of PVC, is sturdy yet light, making it easy for your customers to pass them around—and spread the candied fun (all 180 grams of it)! As for the size, it is approximately 70 mm in width and 70 mm in height, and you can opt to contain the jelly beans in two sealed 50-gram bags. There are also different flavours you can choose from. Mix them up or just go with what tickles your taste buds the most. Either way is sure to capture anyone’s attention. You can even decide to go with colours that match those in your company logo. How’s that for brand recall? The custom Jelly Beans Small Bucket also comes with a sticker label, giving you more room to personalise. The label also comes in full colour, and any design that you like can be printed and placed on the bucket. If you want to sweeten it up more, you can even have a short but sweet quote printed on the label. That will certainly increase fondness towards your company, especially when gifted to VIP clients and employees. Our other products can create the same sentiment among your clients and staff. We suggest you look closely at our promotional Jelly Beans Frosted Noodle Box and our branded Jelly Beans Round Acrylic Window Tin. They make for splendid gifts, especially during holiday-related events or conferences. 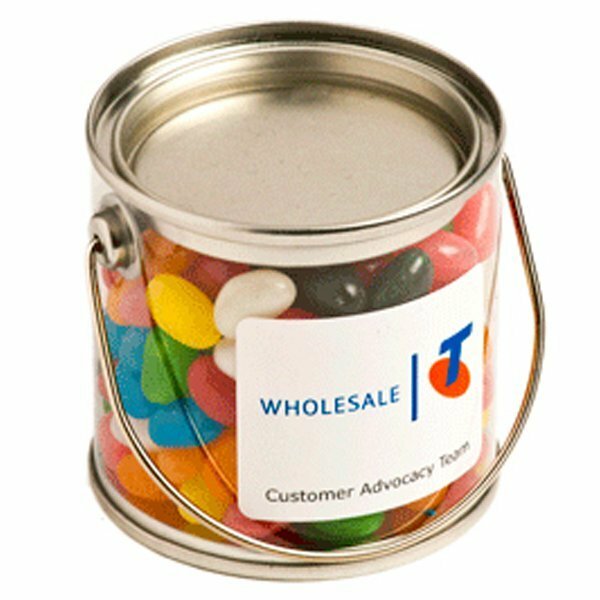 Put a unique spin on your advertising with giveaways such as our custom Jelly Beans Small Bucket. 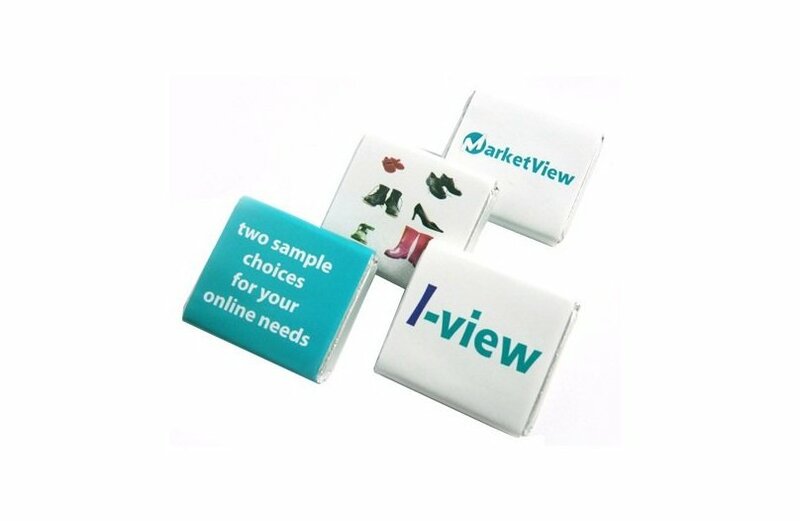 These confectioneries are great for road shows and marketing on the go! Add a summery feel to your promotions with our Floral Peak Snapback and our other branded caps! If you would like to speak to us, then give us a call and dial our hotline at 1300 008 300 and our staff will gladly help you. If our hotline is busy, please feel free to send us a message through our chat application and we will promptly respond to you.